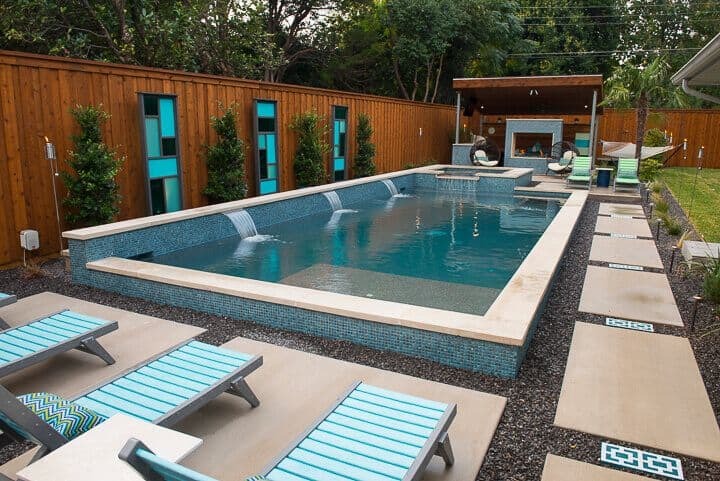 When you choose to get a new pool for your Dallas home from Summerhill Pools, we start with an in-depth design process. This process makes sure that you end up with the exact pool that you’ve been envisioning. Our team of experts will walk you through the Summerhill Pools design process, which takes your input into account and also factors in certain practical aspects, such as how much square footage your yard has and what the layout of your property is like. Below, you’ll learn more about our design process so that you’ll have a better idea of what to expect when designing your pool with a Summerhill expert. Our pool design process begins with an initial appointment with a Summerhill Pools designer. During this first meeting, you’ll be able to discuss your pool design wants and needs. For example, you can let us know what type of pool you’re thinking of getting, how large it needs to be, and whether or not you would like to add any features to it, such as lights or water features. You can show our designer sketches you’ve made or photos of pool designs you really like Houzz, Pinterest, Instagram, or other websites. 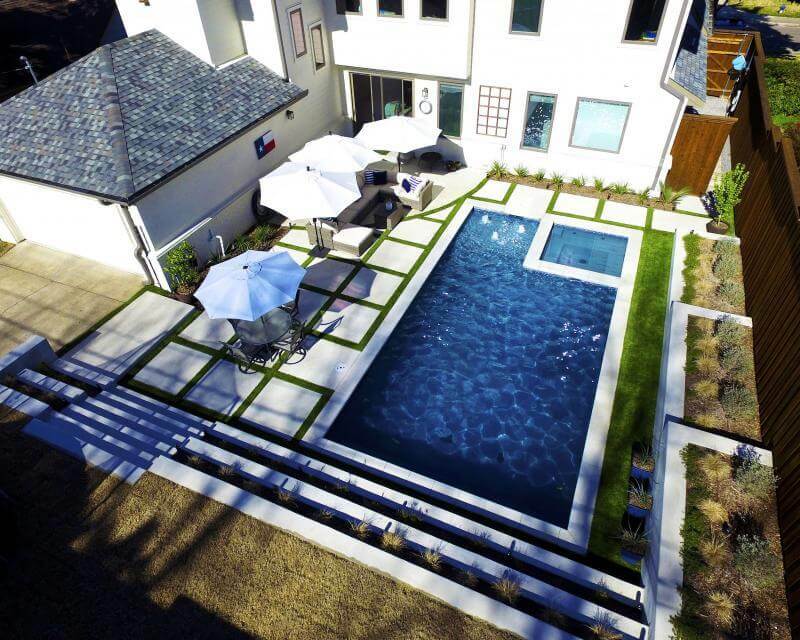 Our designer will take your ideas into consideration when creating your pool design. You can also let us know what your budget is so that we can help you stay within it. This is a very important part of the process. Our designers want to design a pool that fits your budget as well as your yard. We want to come back to you with the perfect pool design. This initial meeting will also include a survey of your property, which allows us to create plans that are to scale for a more accurate design. The designer will measure your yard and take a look at your property layout so that we can come up with a pool design that is suitable for your yard. After your initial appointment with our designer, we will meet with you again for the design reveal. This typically happens about three to five days after the first meeting. The design also will show you a 3D rendering of the custom design for your pool, made using special pool design software. Since it is a 3D blueprint instead of a 2D one, it’s easier for you to visualize how your pool will look in your backyard. When you see what your pool design looks like, you can make changes to it as needed. Just let our designer know what kinds of design changes you would like to make. Minor changes to your pool can be done instantly while you’re still meeting with our designer. This allows you to see how these changes affect the overall design right on the spot so you can decide whether or not you like them. For larger or more substantial changes, you will need to set up an additional appointment with our designer. After you have viewed your pool design and made any changes, you can let our designer know whether or not you approve of the overall design. When you’re satisfied that the pool design is the one you want, you can move onto the next step in our Summerhill Pools design process, which is discussing your contract and budget for your new pool. During the budget phase of our design process, we will meet with you to go over your contract and the selections you’ve made for your pool. Please feel free to take your time going through the contract so that you’re aware of everything that is included in it before signing it. If you have any questions about your contract, we’re happy to answer them. During this meeting with our Summerhill Pools designer, we’ll also go over permit applications. These applications allow our construction team to legally build your pool. When these applications have been approved, we’ll be able to start constructing your pool. This meeting also includes choosing all of the finishes for your pool, such as decking, plaster, coping and tile. We’ll go over your options with you so that you can choose the most suitable finishes to match your design choices while also protecting every part of your pool from damage. If you have any concerns or questions about the finishes, our designer can discuss them with you. We want to ensure that you’re fully satisfied with your new pool and that you will be able to enjoy it for years to come. Contact us to schedule a consultation with one of our expert pool designers.